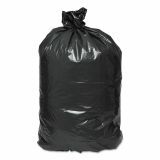 Black can liners have flat bottom construction to eliminate bottom seal weak spots. Holds up to 30% more than star bottom bags. Linear low density resin (LLDPE). 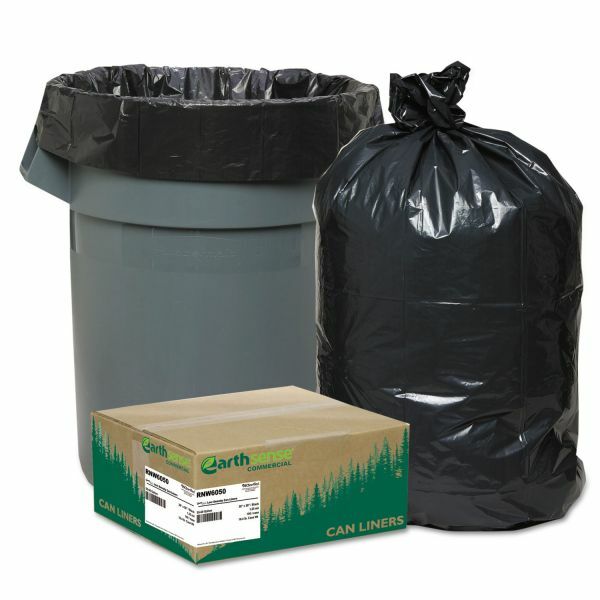 Earthsense Commercial Recycled Can Liners, 55-60gal, 1.25mil, 38 x 58, Black, 100/Carton - Commercial can liners are made of recycled heavy-duty plastics. 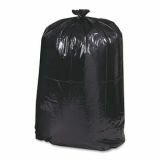 Extra heavy duty liners are suitable for all trash applications. Star-bottom construction is designed for more even distribution of contents and leak resistance. Bags come in a convenient coreless roll for easy dispensing anywhere. Ideal for state and local municipalities that mandate purchasing or recycled content products.